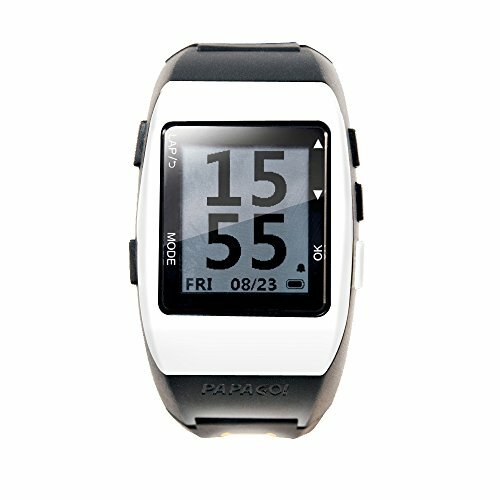 Sports enthusiasts who are serious about tracking their results will find a perfect match for our Go Watch 770 with the PAPAGO! Go Heart 100 ANT+ Heart Rate Monitor. It has a transmission range of up to 5 meters with a durable strap that is made of lightweight material that is extremely comfortable and non-irritating to the skin. Everyone knows that fitness should be a huge factor in your personal life. Now tracking your time, distance, calories, heart rate, and speed can easily be done with a few pushes on a button with this sports watch. The large display is easy to read and navigate and also has a backlight that is activated by two taps on the screen. Upload your stats via our available software at run.goyourlife.com and track your workouts. Beat your own time or compete against friends. With the Go Watch 770 and Go Heart 100 H.R.M. you are sure to reach your goals. Go Watch 770 is the virtual trainer which enables a trainee to set up personal training goals including distance, speed, and time. Support multi-sports mode includes hiking, cycling, running, walking, marathon training, indoor activity. Last 20 days when being used as watch mode and 12 hours batter life with GPS mode after charging for 2.5 hours. Integrated GPS receiver to record exercise routes, elevation, speed. IPX6 / IPX7 Waterproof. The robust and wear resistant design incorporates a special purpose panel from Mitsubishi, Japan. While doing outdoor sports there will be no fear of grinding or scratching the high-resistant screen. Get connected to Run.GoYourLife.com which converts complex activity data into easy-to-view diagram and also allows to share the training statistics with friends. If you have any questions about this product by PAPAGO, contact us by completing and submitting the form below. If you are looking for a specif part number, please include it with your message.